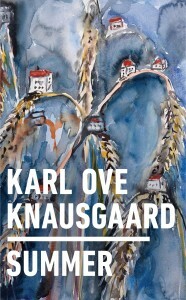 Last autumn, as if to give Karl Ove Knausgaard fans something to read while the sixth volume of My Struggle was being translated, a quick series of four books emerged from Penguin Press. Autumn, Winter, Spring and Summer were scheduled to come out every three months, and each book was to serve as a sort of seasonal, poetic encyclopedia. Conceived as a way to present the world to the author’s unborn daughter, each book is composed of short, three-to-five page entries on things like frogs, mouths and chimneys, as well as more abstract ideas like silence, experience and forgiveness. Knausgaard is celebrated for his memoirs. My Struggle is Proustian in its handling of memory, occupying a hazy midpoint between a historian’s chronicle and something more poetically anecdotal. He’s notorious for minutiae, zeroing-in with suspiciously impeccable detail about the most mundane of stories, and it’s with this trait in mind that Knausgaard’s seasonal books make the most sense. Their short entries are formulaic and often a little dull: each begins with a concrete, objective definition of its subject and races over the following few pages through quickly-illuminating memory nodes, barreling towards a goal of profundity. Something remarkable happened with the third book in this series: Spring jumps away from the formula of Autumn and Winter and instead recounts the story of Knausgaard’s wife’s battle with depression and an episode during her pregnancy. Spring is a harrowing and exceptionally good piece of writing, the highlight of the quartet, and perhaps even more arresting in that it emerges from Autumn and Winter’s regimented, serialized meditation on the world. Summer returns to the formula of Autumn and Winter but feels subtly derailed by Spring. At about 400 pages, it’s roughly twice the length of Spring and Autumn, and features nearly 200 pages of diary entries from June and July of 2016. Although these diaries contain some stunning sections on beauty in contemporary art and the ruthlessness of narrative literature, Summer expands baggily and loses its conceptual focus. The diaries occasionally reference the short encyclopedic works that appear earlier in the book, and they quietly show, first-hand, the world that Knausgaard has so painstakingly catalogued. Unfortunately, just as Summer begins to adopt a vague self-aware confidence, Knausgaard strangely morphs his daily narrative into a fictionalized story about World War II. This tangent has no place in Summer, and loosens the book into a messy, experimental thing. Summer, eventually, becomes a work representative of an author trying and failing to stick to a plan. That may sound like a criticism but its distractions, false-starts, and good intentions all amount to something exquisitely human. “I like repetition,” Knausgaard writes in one of Summer’s final entries. 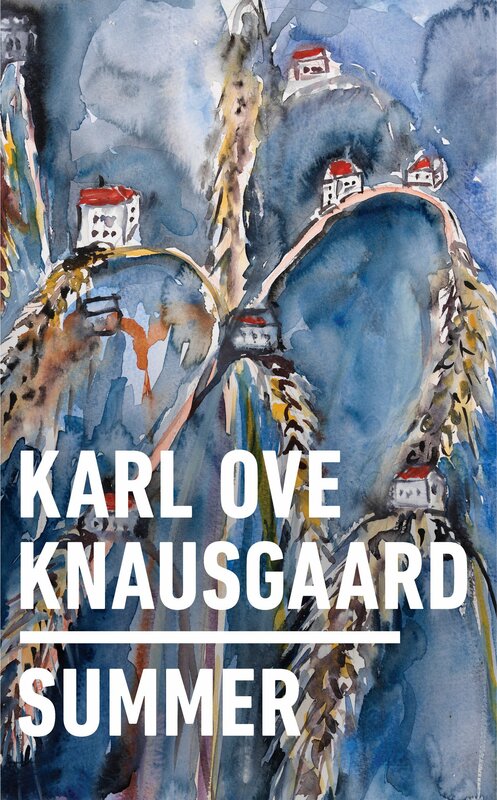 Over four books, Knausgaard achieves exactly this: the misalignment of a regimen, and a vision of the unforeseen, inconceivable inspiration gleaming through the gaps.